Frasers Logistics & Industrial Trust is top-pick within large-caps. 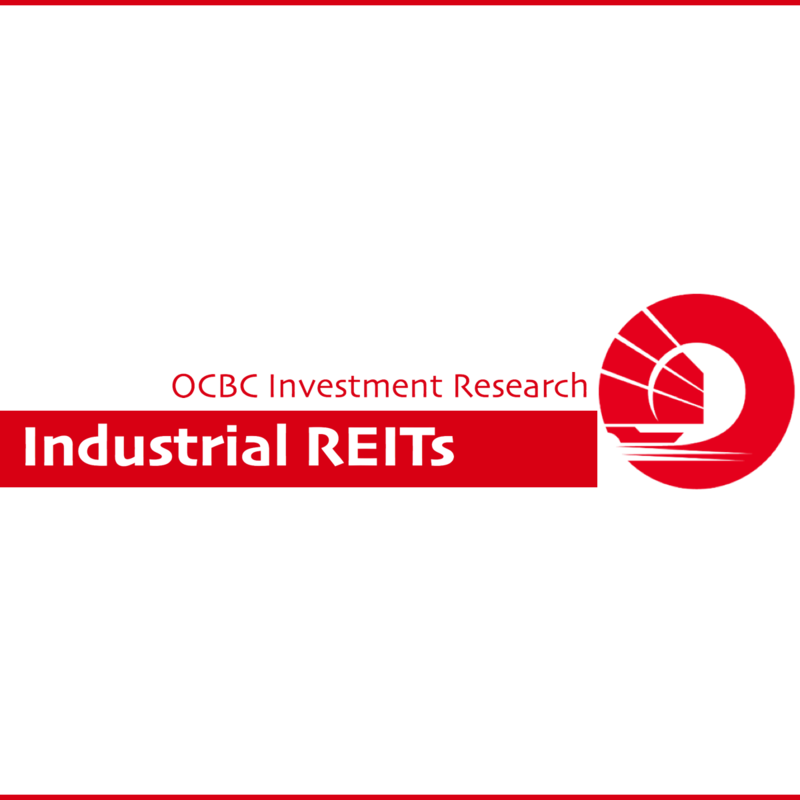 Ever since the start of the market correction on 5 Feb till the close on 9 Feb, unit price changes for industrial REITs under our coverage has ranged from -6.87% to -3.45%. Correspondingly, they are trading at a current year yield of 6.2% to 8.2%. For at least the next few days, we expect much of the price movements within the space to be dictated by market momentum. Nonetheless, we have two key tactical ideas to strengthen the portfolio for clients with exposure to the space. First, operationally, we remain generally more positive on the large cap industrial REIT over the small-cap ones, given that the former tend to have well-diversified portfolios that can withstand the challenging industry outlook locally. Nonetheless, we do note that many of these REITs are currently trading at tighter yields and would be more sensitive to an unexpected increase in the pace of rate hikes. In this vein, we like Frasers Logistics & Industrial Trust (FLT). Operationally, we like the REIT for its 100% exposure to Australian economy, minimal near-term leasing risks, and embedded rental step-ups. In addition, we find its 6.6% FY18F yield (as at 9 Feb) attractive relative to its profile and still ~40 bps above the tightest yield within the sub-sector. Second, for small-mid cap REITs, we recommend switching holdings from Cache Logistics Trust to Viva Industrial Trust (VIT), given their 9 Feb closing prices. While we have HOLD ratings on both of them as at 11 Jan 2018, the recent market weakness has opened up a clearer differential in terms of their relative value. Recall that Viva Industrial Trust is discussing a potential merger with ESR-REIT by way of an acquisition of VIT’s units by share-swap. More details are still needed on the share swap ratio, but we see the opportunity to be part of a mega portfolio as a positive. The merged portfolio would be more resistant to factors such as the fall-off in UE BizHub’s income support, and offers the merged entity a potential to trade at higher valuations. 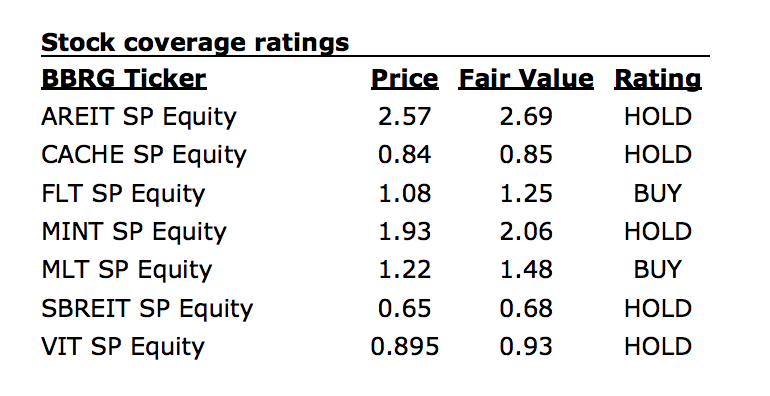 As at 9 Feb close, small to mid-cap industrial REITs are trading at 0.71-1.17x P/B relative to the 1.17x-1.36x P/B range for large-cap industrial REITs. Given that S-REITs valuations remain stretched despite the pull-back, we encourage investors to remain selective in their holdings.